← How To Linkbait E-commerce Stores: 15 Tips For Success! This can be achieved by tagging your urls with a CGI parameter, such as “?land=adwords”. With a bit of code you can get this code printed on the page, as “Promo:adwords” in the footer will work fine. When customers call and place an order make sure everyone is trained to ask them for their “promo” code, which gets stored with an order placed over the phone. Furthermore, you could be a little more cryptic with your promo codes if you want to hide what you’re doing from your customers. Using custom promotional codes works well if you are running large PPC campaigns with hundreds of keywords and landing pages. This is a very simple but effective technique: switch the telephone number based on the referring site. If you wanted to be thorough you could get a telephone number for MSN, Yahoo or AdWords. This method is more suitable for sites offering a limited product range and bid on a small range of keywords. 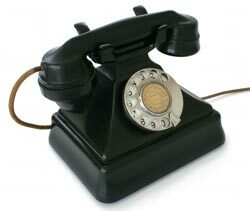 Set up a new telephone number and then put that number on your landing page. Pay Per Call services come with powerful stats so you can measure just how many calls you have received. Also using a service such as Ingenio means you only pay for phone call leads from new customers calling your business. Choose a solution such as that provided by ClickPath to track all conversions generated from your online advertising, including phone calls, and tie them back to the exact keyword or ad source. Harnessing the power of an IVR phone system can take the headaches out of getting your staff to record the lead source. You could add an extra menu on your phone system asking people for a promo code that is unique to the referring site. Our company MediaFlint.com has been Beta testing a call tracking product called AvidTrak (AvidTrak.com) which dynamically assigns and places a unique trackable telephone number for every keyword. AvidTrak is also integrated with Google Analytics which allows us to view call conversion data directly in Analytics.